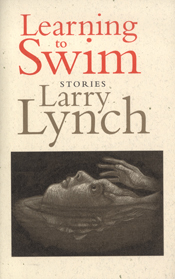 Larry Lynch’s debut novel, An Expectation of Home, was published by Gaspereau Press in 2002. 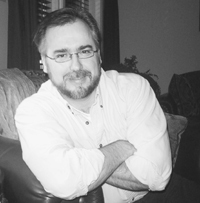 The Moncton Times and Transcript called it “paced and remarkably confident.” His short-story collection, Learning to Swim was published by Gaspereau Press in 2004. 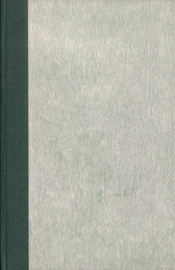 Many of the pieces in this collection have appeared in Canadian journals and anthologies including the 1999 Journey Prize Anthology, Victory Meat (Doubleday), the New Brunswick Reader, Gaspereau Review and Pottersfield Portfolio. Larry Lynch lives in Miramichi, New Brunswick. This startling debut novel follows two boys from the Miramichi region in New Brunswick on very different paths toward adulthood. The story begins on the school bus, where we are first introduced to Bern and Calvin. At either end of the town’s economic spectrum, the two boys share an uneasy friendship, one cemented by accidents: the drowning of a deer in the river and the sudden death of Calvin’s mother. An Expectation of Home is searing and vivid, deeply rooted in the lives and community on the Miramichi River. This novel challenges readers to explore the depths and complexities of growing up. Lynch sounds the distances between generations, genders and classes as his characters struggle to find a sense of community, connection and above all, home.